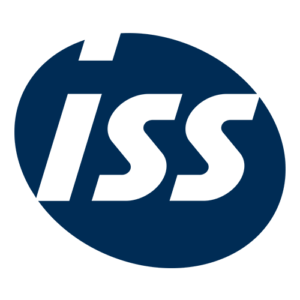 ISS supplies specialist business support and FM services to a portfolio of large corporate clients. The delivery of the ISS services requires people to operate in a range of contract, functional, specialist, sector and strategic teams. Berrison is tasked with supplying a flexible team coaching service to help all forms of business teams to regularly review and improve their performance. The main objective of the service is to develop a continuous improvement mentality within each team, encouraging teams to take regular time out from operational demands to develop their confidence and capability. Berrison has integrated the ISS values and leadership competencies into the team coaching services. Some of the support for the business teams extends into leadership development, where team members are provided with 1-2-1 leadership coaching and the team are used as a peer learning group. The business team coaching is initiated with a foundation review that highlights each team’s focus, customers, performance measure, resources and skill level. Over the following 6 to 12 months each team receives a sequence of team review and skills development days. All aspects of the team coaching service are designed to be enjoyable and interactive, based on the principle that if people enjoy learning they are more inclined to repeat the process and become a continuous improvement team. The service utilises, as required, a range of team and individual profile tools to support development. Each team has its own specific challenges that the team coaching helps them to address. These can range from taking on and fast-tracking a new major contract resulting in retained and motivated staff. To developing the strength and depth of the client relationship resulting greater volumes of business or retained contracts. A reduction in the time taken to achieve major change by the teams staying together longer and functioning well. Increased influence over staff motivation and the quality of their actions by making sure that the team’s behaviour and communication aligns with the described values and principles of the business. Increased speed and accuracy of decision making by improving the quality of the information and the debate within the team. Increased influence on efficiency, motivation and innovation through increased communication flow within the team and with staff and stakeholders. +44 (0) 1539 72 5760 – 734980 connect@berrison.com © The Berrison Group. All rights reserved.